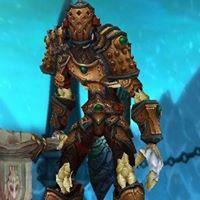 I do have a druid as well, resto and balance (boomkin) using the same gear for both specs. Ofcourse it suits one spec better then the other but never had probs with it. i suggest you take a look at "classes" at the top of the forum, and look at the different ones you are thinking of yourself. Imo the combo guardian/resto doesnt really fit or even resto/feral, quite different stats to aim for to play at least decent.